Wonderware: SCADA Systems and Java Security Concerns: Is it time to dump Java? What makes Java an attractive target? Widespread deployment: Java has become a key target for hackers simply because of its wider reach. Over 1.1 billion desktops and 3 billion mobile phones run Java. 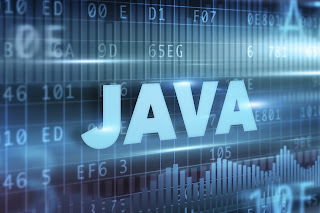 From personal computers and smartphones to supercomputers, cutting-edge medical instruments to enterprise applications, Java runs on virtually every device and system under the sun. Cross-platform nature: Java’s cross-platform nature has made it an attractive target for malware exploits because malware can be written to infect virtually any system, be it Windows, Mac or Linux based systems. Constant security holes: Oracle took an awfully long time identifying vulnerabilities in Java plug-ins and releasing timely security updates. Experts believe that there are still a number of vulnerabilities in Java, which are relatively easy to find and exploit. How to overcome Java security flaws and protect your HMI/SCADA system? Disabling Java applets and Java Web Start (JWS). However, this would mean that you must be ready to lose some functionalities of your SCADA software. Raising the default security settings for Java Applets from low or medium to high. This will prevent web-based Java applications from executing inside the browser without the user’s approval. Disabling Java plug-ins in all web browsers. One can do without Java plug-ins in browsers like many popular social media sites do. Keeping Java up-to-date by applying security patches released by Oracle. Using two different web browsers on the plant floor – one with Java disabled for general tasks while a dedicated browser with Java enabled for trusted websites that need Java support. Web applications designed to access SCADA API or systems should be developed from the ground up to work without Java plug-ins. This is primarily to ensure that the security loopholes Java plug-in inadvertently introduces are not exploited by hackers, malwares and phishing websites. What are your concerns regarding Java? How do you plan to mitigate Java vulnerabilities within your organization? Please share your thoughts in the comments section below. Suman Singh, is a Product Marketing Specialist at Invensys where he supports marketing activities for Wonderware's HMI and SCADA software solutions, including InTouch and System Platform. Based in Bangalore - the IT hub of India - Suman has over 6 years experience in product and content marketing. He is most interested in technology, social media, and sustainable development.